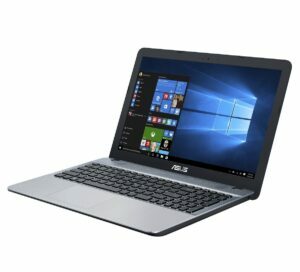 Is choosing the best laptop under 20000 mind Exhausting task? Choosing the best laptop under 20000 rupees may seem like a devil of a job but trust me it’s not. If your mind is clear about the purposes that you are gonna perform with your laptop then it is not a typical task to choose a right laptop. So without wasting more time here is the list of Best Laptops under 20000. Processor: AMD A6, 2.0 GHz. with RadeonTM R4 Graphics. HP (Y0T72PA) G5 flaunts a 14 inches Antiglare HD LED display. It is available in black color. This laptop is made to give high performance along with a lightweight design. I wonder how “HP” managed to provide a 14″ laptop with a dedicated numeric keypad in just 1.80 Kg. It comes with AMD A6 Processor having a 2Ghz frequency and coupled with 4GB DDR3 RAM. Free DOS is pre-installed in it but you can install any OS later after buying it. In terms of connectivity, it comes equipped with an Ethernet Port, WLAN connectivity, Bluetooth 4.0, 2 USB 2.0 ports and 1 USB 3.0 Ports. It also has a VGA output port along with 3.5mm microphone port. To enable video calling it has an HP true vision Camera on the top Bazzle. Input devices consists a multi-gesture supported touchpad. A full-size island type keyboard is provided to give you a better typing experience. A Dvd R/W port is also available on this laptop which enables to insert the CDs into it. In my opinion, the laptop worths to be at the top of the list of “best laptop under 20000”. Processor: AMD E1-7010, 1.5 GHz. with RadeonTM R2 Graphics. Acer never upsets its budget customers. 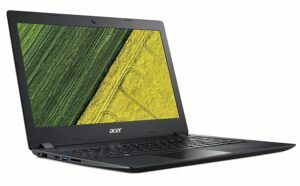 Acer ES-15 is widely sold the model in online stores. It comes with a 15.6 inches HD LED screen with a resolution of 1366×768. It is slim at a thickness of 25 millimeters as compared to other laptops under 20000 segment. It weights 2.40 Kg which is supposed to be okay for a 15.6 inches screen laptop. coming to its performance it has AMD E1-7010 with a 1.5GHz clock speed. An integrated graphics processor of Radeon R2 is also provided to perform graphics demanding processes. The laptop is bundled with 4 Gigabytes of DDR3L RAM which is enough to handle the casual processes. The internal memory provided is 1Terabyte SATA Hard disk with a speed of 5400 rotation/minute. Coming to the connectivity options it has built in wifi and Bluetooth v4.0.Apart from that it features 1 USB 2.0 port,1USB 3.0 port,1 ethernet port,1HDMI output. Dell, a reputed brand in the computer industry is known to provide reliable products along with a well-settled after sale support. 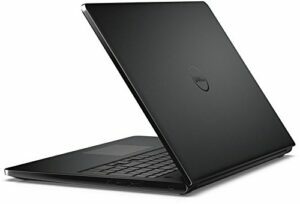 The Dell Inspiron 3550 is an entry-level laptop which is efficient enough to perform your daily tasks quite easily. It comes with a 15.6 inch HD backlit LED screen (1366×768). It is entirely made up of rich quality plastic with a smooth finish. It is slim as it does not have a DVD slot and weights only 2.19 Kg. Talking about the input devices it features a full-size keyboard. Keys are well spaced which helps in the overall typing experience. The capacitive touchpad is large enough and placed little in the right corner to give your right hand a proper place to rest on. This machine comes loaded with Intel Pentium N3710 processor with a maximum clock speed of 2.56GHz along with Intel HD graphics. You will get 4 gigs of DDR3 RAM bundled with 500GB of SATA hard drive. The top right bezzle consists a 720P HD webcam. In terms of connectivity options, it has 3USB ports, The Bluetooth 4.0 and wifi 802.11ac. Asus and Acer are ruling the budget laptop segment and the above laptop is an ideal choice for the people who prefer portability along with a stylish look and a big screen. The laptop comes with a 14 inches HD 1366×768 resolution screen. The overall weight of the laptop is 1.65 which sounds good for a laptop having 14 inches screen size. It doesn’t have a cd/DVD drive (come on who needs that in 2018? )It is fanless so produces less noise and is lightweight also. It comes preloaded with window 10(64bit OS) so therefore you don’t need to spend extra money on installing an operating system. It also comes preloaded with some free useful apps like Netflix, WPS office, and Mcafee security etc. It comes with a full-size keyboard which will let you type comfortably. The touchpad is placed in the center which supports multiple gesture support. It also has a webcam at top bezzle which enables one to perform video chats. It comes with a USB type C port as well as USB 2.0 ports, Ethernet port, SD card reader and an HDMI port. Talking about the performance it comes equipped with Intel Celeron N3350 dual-core CPU at 2.5GHz of clock speed bundled along with 2GB DDR3 RAM and integrated graphics.If you are looking for an Ultra-Lightweight laptop under 20000 budget then definitely you should check this out. 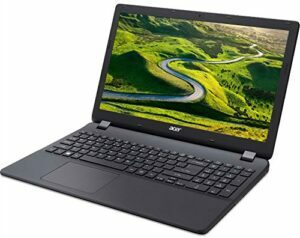 The Acer aspire ES-523 can be a good option for the people looking for a laptop with a decent look and a good battery life but are on a tight budget of 20000 Rs. 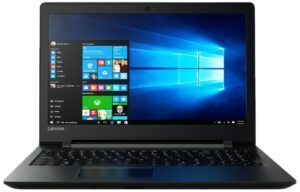 Price of this laptop keeps varying best buy link is given at top of the post. Talking about the physical overview it is made using rich quality plastic. The screen size is 15.6 inches with a resolution of 1366×768 pixel. The overall weight of the laptop is 2.4 Kilograms. This machine comes with a full-size keyboard with separate numeric keypads. A touchpad slightly placed on the left side of the laptop having multitouch gesture support. The front face of the laptop is little-tapered upside which gives it a slim look. The Acer webcam with a resolution of 640×480 is placed at the top border of the screen. Talking about the Ports and connectivity options it has Wireless LAN 802.11 b/g/ n, 2 USB 3.0 ports and 1USB 2.0 port, A ethernet port, VGA port and a CD/DVD slot. Coming to the hardware features it comes with AMD-A4-7210 dual-core CPU at the maximum clock speed of 1.80GHz.The integrated graphics of Radeon R3 and a 4GB DDR3 RAM. It also has a huge 1 TB Serial ATA hard drive storage having 7200 RPM speed. It comes preloaded with Linux Operating System and Acer itself suggest users to install genuine windows 10 operating system. Battery backup is the main highlight of this laptop.It has 4 cell lithium ion battery which is capable to provide a battery backup of about 5 hours.Apart from all these specs, you will get the one-year manufacturer’s warranty. 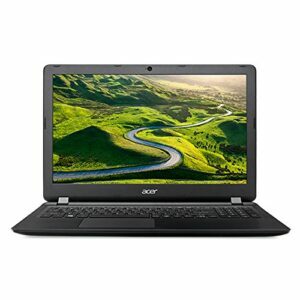 Acer Aspire worths considering while you are looking for the best laptop under 20000. This laptop is however little outdated but it is still able to prove its efficiency. The laptop is extremely thin and lightweight. It is having a screen size of 15.6 inches having a resolution of 1366×768 pixels. A standard notebook keyboard with dedicated numeric keypads is provided in the laptop. A multiple touch gesture supported touchpad is also placed just below the keyboard. The Acer webcam can be found on the top border which is capable to make video calls. In terms of hardware components, it contains an Intel Pentium N4200 chipset at a frequency of 1.10 GHz.It is having 4 Gigs of RAM along with Intel 505 HD Co-processor. Connectivity options include 2 x USB 2.0 ports, 1USB 3.0 ports, 1 HDMI Port,1 Ethernet port,1 Audio headphone jack and an SD card reader slot. It doesn’t have a CD drive which makes it lightweight and slim. One will get Linux OS on this machine and Acer warns that pirated windows cant be installed on this device so you will have to spend some extra bucks for buying genuine windows CD. Lenovo is known to provide best hardware features at reasonable price. I personally love its IdeaPad lineup. The Lenovo Ideapad 110 is an ideal choice for people looking for the best laptop under 20000 bucks. This laptop comes with a 15.6 inches LED-backlit display with a pixel resolution of 1366×768. It is equipped with a full-size notebook keyboard having separate numeric keypads. The capacitive touchpad is placed at bottom of the keyboard. The hinges provided in this laptop can be rotated at 180 degrees. It weighs 2.2Kg which is normal for a laptop having a CD drive. It comes with Intel core Intel Pentium N3710 with a max clock speed of 2.56GHz.Apart from that it has integrated graphics and comes with a bundled 4GB DDR3L RAM. It comes with a huge 1TB Serial ATA hard drive having 5400 RPM. Talking about the connectivity options it has wifi, Bluetooth V4.0, 1 USB 2.0 port, 1 USB 3.0 Port, Ethernet Port, A HDMI Port along, 1 SD card slot along with a CD/DVD port. It comes with a free DOS operating system, you can install any Operating system after purchasing it. Also, you will get one-year manufacturer’s warranty after date of purchase. Processor: Intel Celeron dual core N3060 1.6GHz. 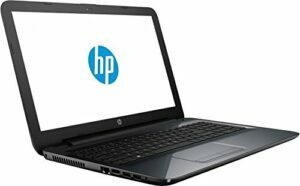 The HP generation 5 laptop comes with 15.6 inches slim antiglare backlit HD screen with a pixel resolution of 1366×768. It is 384x254x24.3mm in size. It weights 2.5 Kg which seems little overweight. But you cant complain about this on a laptop under 20000 rupees. The keyboard is a full-size standard island-type keyboard with a separate numeric keypad. A capacitive touchpad is placed below the keyboard in the center having multitouch gesture support. The HP true vision camera is placed at the top of the screen with inbuilt microphone. It acts as a powerhouse thanks to its 4 cell lithium ion battery. The overall package is bundled with a dual-core Intel Celeron N3060 CPU at a clock speed of 1.6GHz. To support the CPU additional Intel HD 500 graphics have been provided in this laptop. The RAM is 4GB DDR3 type. The overall storage size is 500 GB SATA drive. The laptop comes with a free Disk operating system with 64-bit architecture. In term of connectivity option, it has support for Wifi 802.11bgn, Bluetooth v4.0,2 USB 2.0 port, 1 USB 3.0 port, Headphone and microphone jack, SD card reader, VGA port, HDMI out Port along with a CD/DVD slot. Processor: Intel Atom x5-Z8350 1.44 GHz with Integrated graphics. iball is an Indian company and making its entry into the budget laptop segment. This notebook is the cheapest laptop on the list. The iball compbook exemplaire+ deserves to be on the list of “best laptop under 20000” due to its ultra-portable design. The notebook comes with a 14 inch HD backlit 14 inches screen with a resolution of 1366×768 pixels. The notebook comes in a blue color having a metal finish at the top. A chicklet keyboard is provided in the laptop. The capacitive touchpad which supports multiple finger gestures is also provided on this laptop. A 0.3 Megapixel camera is placed at the top of the screen. The other thing which made me love this laptop is its 10000mah battery. The company claims to provide a continuous usage of around 9.5 hours. Considering the hardware specs it has an Intel Atom X5-Z8350 Processor(for obvious reasons) with a max clock speed of 1.92 GHz. The device comes with a storage of 32 GB onboard storage. One will also get the options to add a hard drive inside the notebook up to 1 GB. Connectivity option includes a mini HDMI port,1 USB 2.0 Port,1USB 3.0 port and a combined 3.5mm audio jack. It features dual speakers which produce stereo sound. 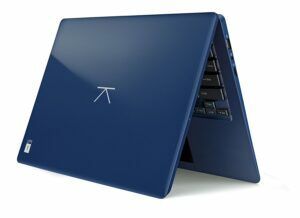 In my opinion, this is an excellent laptop for the people who are fond of reading online articles and ebooks.The laptop is ultra-portable and easy to carry around. 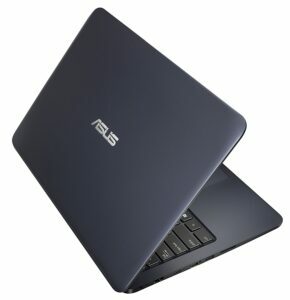 Another laptop from Asus which worths to consider in the list of the best laptop under 20000. The laptop has an HD backlit screen with a resolution of 1366×768 pixel. The full-size keyboard is also provided in this laptop with dedicated numeric and function keys. Apart from that stuff, it weighs only 2.0 Kilograms. The multi-touch gesture supported touchpad is placed below the keyboard. The top bezzle consists a webcam with sensors next to it. The dual speakers are placed in front of the keyboard. These speakers are the main highlight of this laptop. The hardware included dual-core Intel Celeron 3350 at a max speed of 1.92GHz.The graphics unit contains Intel HD graphics(integrated). This setup is further supported by 4GB DDR4 RAM. Storage capacity is 500GB hard drive. It comes with free Disk operating system. Later you can install an operating system of your choice in it. Connectivity options include wifi,Bluetooth v4.0,1 USB 2.0,1 USB 3.0 port,1 ethernet port,an HDMI port and a charging slot.In my opinion, it is a better option to consider while one is looking for a laptop with a big screen as well as lightweight also. If you are looking for affordable drones then definitely check this post. I am the kind of guy who prefers Performace and storage over the overall look of a laptop. Because having a piece of sturdy looking material which even cant open google chrome doesn’t make a sense to spend your money on it. I am listing the things below which are gonna decide the best laptop under 20000 for you. Size is the first thing which you have to choose Laptops are available in various sizes Normally ranging between 10″ to 20″. You have to decide whether you need an ultraportable laptop with a smaller screen size or a big screen laptop which will help you to view everything in detail without struggling that much. Screen resolution and type is an important factor which one should check most of the laptop under 20000 price segment offers IPS LED screen with HD screen resolution. Well, I am an engineer and I know very well how the keyboard affects the user experience, I have to do a lot of calculations which isn’t possible without the dedicated numeric keypad. If you are looking a laptop for business purpose and have to enter a lot of digits and use excel mostly then you should look for a Laptop be having dedicated Numeric keypad. If you are looking for a laptop to surf the internet and you don’t have to take that much with numbers then look for the full-size Letters Keyboard. Also, consider the Gap between the Keys, More the gap between the Keys more easily you can type. As I said above Performance of laptop matters more than the look. The processor is responsible for the performance of the laptop. There are numerous Processors available in the laptops, Intel and AMD are popular in 20000 laptops segment. This is the second things which affect the performance of the laptop. More the RAM more performance you get, also the type of RAM like DDR3/DDR4 are also to be considered. When it comes to portability most of the people prefer laptops over traditional desktop PC but wonder you are a writer and traveling from one place to other carrying a 3kg laptops along with you. Doesn’t make a sense Right? But if you are a Gamer and use to play heavy games on your laptop then, of course, you will need a heavy laptop with high configuration. I guess you got what I want to explain. Hope you had gone through the article. If you still have some confusion about”best laptop under 20000″ then let me know in the comment section below.